A ‘cashless’ society could not or should not have been the primary aim of the government. Nitish Kumar was perhaps the first among Opposition leaders to support the intent behind the move for demonetisation. Any government, which takes a step motivated by the need to reduce or eliminate black economy and corruption, has to be given the benefit of doubt for taking such action. However, from the very beginning, the JD(U) had critiqued the lack of preparation for an exercise of this magnitude. And, it had said that such a move needs to go beyond, to attack black money in benami property, gold and bullion, and unaccounted cash lying abroad. It is surprising, however, that now the BJP government is changing the goal posts. Prime Minister Narendra Modi had, in his dramatic announcement on November 8, made black money the primary target for his demonetisation decision. He had said that demonetisation would attack the parallel black economy, eliminate counterfeit currency, and end the nexus between black money and terrorist funding. 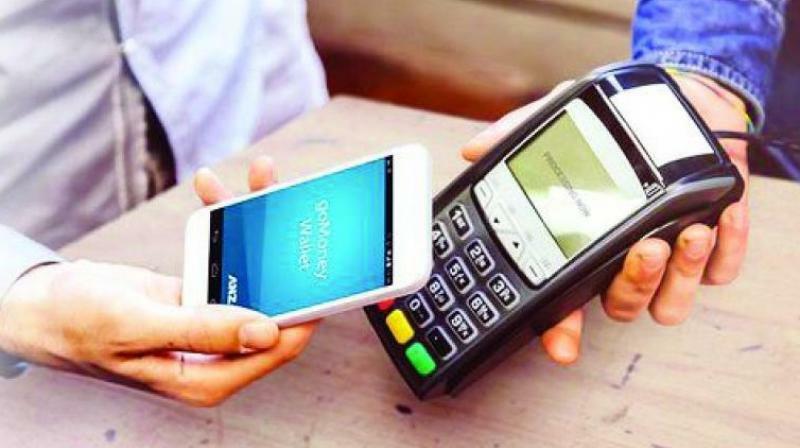 But he had never said that the express purpose of the exercise was to create a digital economy, where less cash transactions ultimately create a “cashless” society. What is the reason for this change of goal posts? Surely, if the aim of the government was to create a society where cash transactions are reduced or eliminated, demonetisation of a magnitude wherein 86 per cent of all currency would be withdrawn was not the best or even required policy instrument. This would be obvious to even the most confused policymaker. A far better way to achieve this aim would be to first build the necessary banking and affiliated infrastructure, while simultaneously motivating and preparing people on the use and benefits of a less cash economy. To suddenly air drop this goal on a country where the banking network has poor density, especially in the rural areas, and where, as a consequence, many honest transactions can only happen in cash, is a recipe for disaster. For instance, according to one estimate, there are some two lakh ATM vending machines in the country, of which only 37,000 are in the rural areas. Such an infrastructure is ridiculously small given the size and needs of our country. For rural India, where people often have to often walk miles to reach the nearest bank, if they have a bank account at all, and for the informal sector where huge swathes of the population depend on daily wages payable in cash, such a move would inevitably spell great suffering. A “cashless” society, therefore, could not — or should not have been — the primary aim of the government. The intriguing question then is, why has the government suddenly begun to link demonetisation to this goal? Nobody in his right mind uses chemotherapy to cure a cold, but using demonetisation to achieve a “cashless” society seems akin to this madness. It is, no doubt, true that reducing transactions in cash helps in eliminating corruption. I have said this before, and I would like to reiterate that in a country like ours the best antidote to corruption is the neutral intervention of technology. But moving towards greater transparency in financial transactions is a process that could have been implemented in a planned manner with pre-identified time lines and a well thought out road map. It did not require the instrumentality of such drastic demonetisation. The reason for the shifting of the goal posts by the government can, therefore, have only one reason: The implementation of the demonetisation scheme has been so poorly planned, and the implementation is so flawed, that the elimination of black money is unlikely to be achieved. Hence, the reason to interpolate another goal: a less cash or cashless economy. Apart from the huge and unrelenting inconvenience being caused to the ordinary citizen, and, in particular, the farmers and daily-wage earners, it appears that the government’s goal of netting a substantial amount of black money will also not be achieved. According to latest reports, some Rs 13 lakh crores out of a total withdrawal of Rs 15.5 lakh crores, have been returned to the banking system. With time still available under December 31 to exchange old notes, it is becoming increasingly clear that those with black money have managed to largely launder their money, while those with honest cash are standing in queues to get a few thousands, if that, of their own hard earned money. Faced with this situation, the government is desperately trying to prevent this laundering through extensive tax raids across the country. While this will put pressure on tax evaders with unaccounted money, it is unlikely to yield anything close to the Rs 3 or Rs 4 lakh crores of black money the government had expected to harvest as a result of demonetisation. This, in turn, means that the RBI will not get any monetary dividend to gift to the government, and nor will the government be in a position to plough the gains of the demonetisation exercise back into the economy for public welfare. Some amount will be gained by tax penalties and VDS schemes, but this is a tedious process in legal terms, and will at best yield a few thousand crores as against the lakhs of crores the government was probably expecting to gain, and the over one lakh crore it has spent to print new notes and release them. In sum, therefore, Narendra Modi is faced with the distinct possibility of having his initial move to curb black money overwhelmed by poor planning and strategic anticipation. In the process, the collateral damage has been huge: continued suffering of the common person, and significant damage to the economy in terms of productivity, consumption and growth. The government is, perhaps, aware of this development. Hence the sudden change of goal posts, from the elimination of black money to the creation of a digital economy. The BJP leadership may think this is a clever move, but the people of India have an uncanny sense of knowing when they are being taken for a ride.